1. When do they turn Niagara Falls off at night? Can I help them turn the falls off? No, but really. There isn’t some giant on and off switch that controls the flow of the water, however, they do reduce the amount of water that is going over the falls during the night, and in the off-season. They reduce the flow to move more water into the hydro control dam, as the falls supplies areas of Ontario and New York with electricity. Fun fact, the Bridal Veil Falls were “turned off” completely in 1969 so that engineers could do some work there. It’s always a bit sad when you have to crush the dreams of an excited tourist, but no. 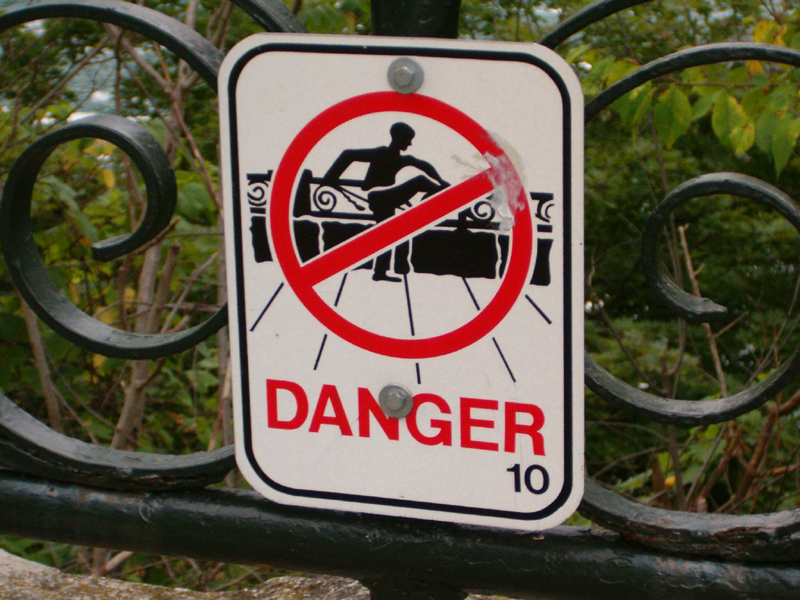 You cannot help them turn the falls off at night. 2. Can I use dollars? Are your prices in American? Translation: Can I use American dollars? 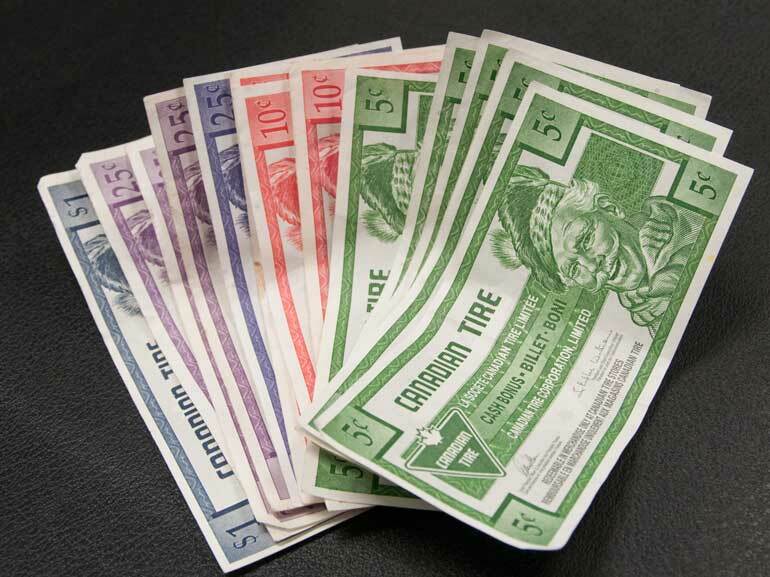 Canadian money is called Canadian dollars and often referred to as “Monopoly Money” by our neighbours to the south. Since Niagara Falls is a border city, American money is accepted pretty widely. However, there are also no laws about accepting American money, so it’s up to the business to determine what exchange rate they will give you (if they’ll give you one at all), and what currency to give your change back in. THIS IS NOT CANADIAN MONEY. These are coupons that can be collected from Canadian Tire, a famous Canadian retail store that sells home, sports, leisure, and automotive products. This “money” is not legal tender, and I have actually had confused tourists try to pay me with it, insisting that a cashier had given it to them as change. These brightly coloured bills are really just coupons and they’re given to you based on the amount that you spend in the store. So yes, you will get them from the cashier, but not as part of your change. Prices are most definitely listed in Canadian, and are subject to 13% HST (harmonized sales tax). 3. Do I have to pay to see Niagara Falls? Nope, all you have to do is drive up and see it, or park and walk. However, please don’t be that guy that crawls along the parkway, or stops their car on the side of the street to “just hop out and take a photo”. There’s a sidewalk that stretches from the Horseshoe Falls all the way down the Niagara Parkway (right along the river). It’s a beautiful walk, and great for anyone who likes biking or roller blading. You do have to pay to park at the falls, and the closer you are the more expensive it will be. You can often find street parking up the hill, and there are $5 and $10 dollar lots throughout the falls area. The Skylon Tower has been known to have $10 parking. There’s also a bus system called WeGo that runs throughout the city and stops at all the major attractions. They even have a shuttle to Niagara-on-the-Lake, which is a gorgeous little heritage town. It’s a great deal (as are the Niagara Parks packages) for anyone who’s looking to sight-see. 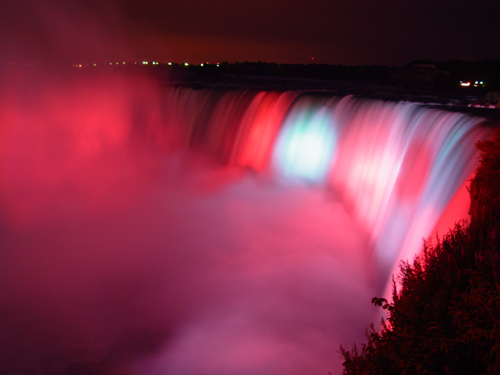 Every night they illuminate the falls, and the colours change for special events. They also have a pretty hefty firework schedule throughout the summer. Both the illumination and fireworks are free to see. 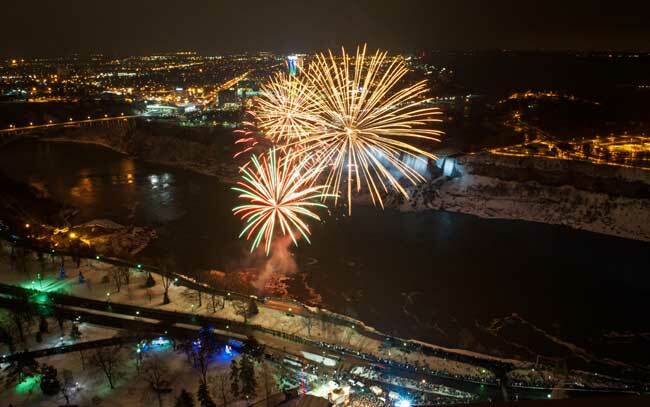 You can find a schedule of the lights and fireworks at the Niagara Parks website. 4. Do I have to cross the border to see Niagara Falls from the Canadian side? Do I need a passport? Yes, you are entering a different country. You need to cross the border. Yes, you need a passport. For more information about coming into Canada, including what you can and cannot bring into the country, visit this website. American citizens under the age of sixteen who are travelling with their legal guardians may use a birth certificate as identification. If you are bringing children that you are not the legal guardian of it’s best to get a signed consent form so that you don’t run into any problems. If you are travelling with your pet make sure you have the necessary documentation. If you’re looking for a different way to experience the falls, walk over the Rainbow Bridge. As long as you have the proper identification, you’ll be able to cross on foot. We’re not big into the guns here. Telling the customs officer that you “need it for protection” will probably ensure that it is taken away at the border and held until your return. 5. Can I go swimming in the falls / river / whirlpool? Can I kayak over the falls? According to Niagara Parks.com, “More than 168,000 cubic metres (6 million cubic ft.) of water go over the crest-line of the Falls every minute during peak daytime tourist hours.” Not to mention the drop over the Horseshoe Falls is 57 meters (about 188 feet), and there’s a whole lot of rocks there at the bottom. Do you want to take your chances swimming (or diving) anywhere near this? Niagara Falls webcam from Niagara Falls Live.com. If you really want to go swimming in lake or river water, I would recommend making the trip over to Crystal Beach. It’s about a 25 minute drive from Niagara Falls, but definitely worth it. A friend of mine actually had someone ask her if they could kayak over the falls. When they first asked, she just laughed thinking that they were making a joke. They weren’t. She told them no, it wasn’t possible and they asked her if there was a “rope stopping you”. I’m pretty sure you’d need a heck of a lot more than a rope to stop you from being pulled over the falls! But forget about the waterfall, the river is filled with rapids and surviving the whirlpool would be pretty miraculous. If you’re looking to get up close and personal with the falls, take the scenic boat tour or if you’re looking for something more thrilling, there’s the Whirlpool Jet Boats. The Maid of the Mist is no longer in Canada. 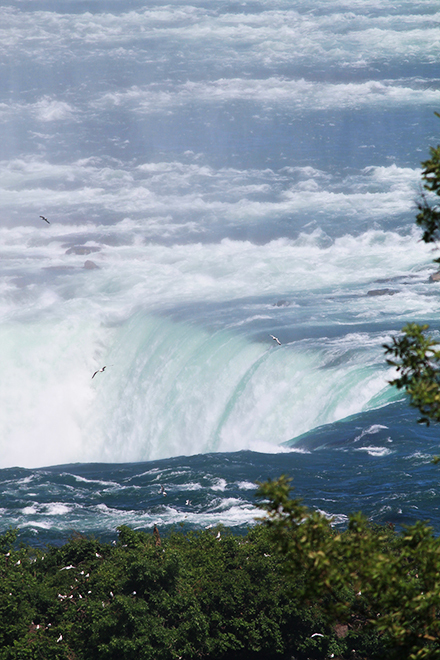 We still have boat tours from our side, but they’re called Hornblower Niagara now. We don’t like the name change, either. Be sure to follow all signs, and don’t climb the fence to “get a better shot” of the falls. People have died doing that. If you really can’t get a shot that you like, get a postcard. It’s a lot safer. I’ve gotten this question more times than I can count – and that’s when I answer the phone in English. I admittedly love being complimented on how “native” my English sounds (especially being a native English speaker). I’ll let you in on a little secret: I can’t speak French. So, yes. If you’re coming to Niagara Falls, Ontario, Canada, you will be able to communicate, order food, check-in to your hotel and so on and so forth if you can only speak English. 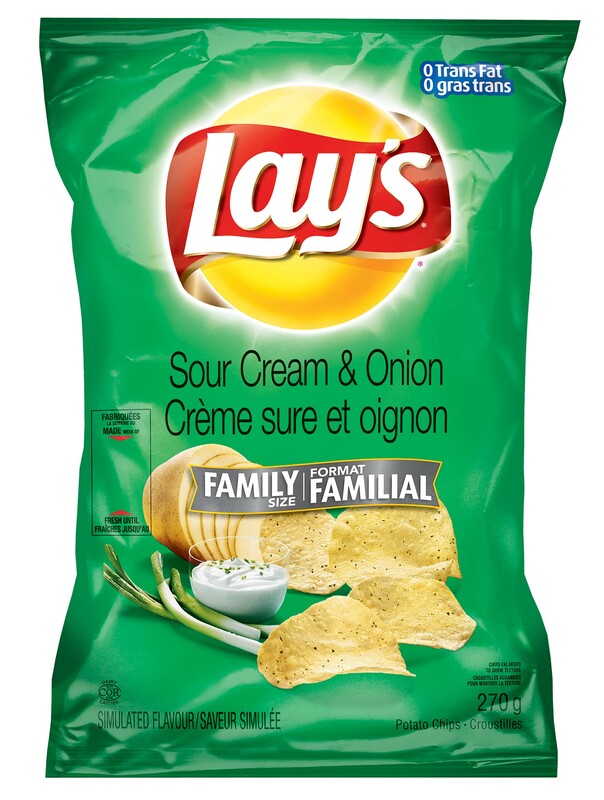 Since Canada officially has two national languages, our products, many road signs, documents, etc. have English and French (not “American and Canadian”). 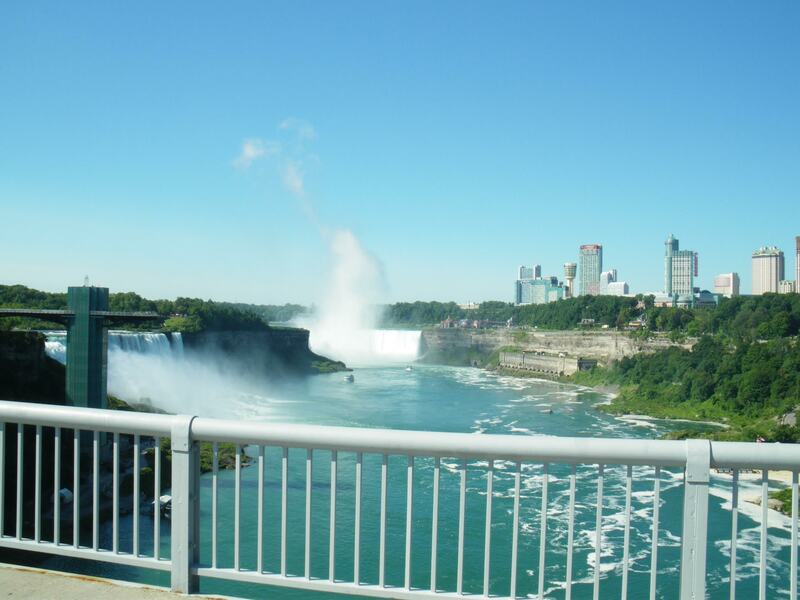 However, a good deal of the people who are living in Niagara are either native English speakers or extremely fluent. 7. What city / state is Niagara Falls in? Isn’t Niagara Falls right next to Toronto? Niagara Falls is the name of the city in which the natural wonder, Niagara Falls, is located. 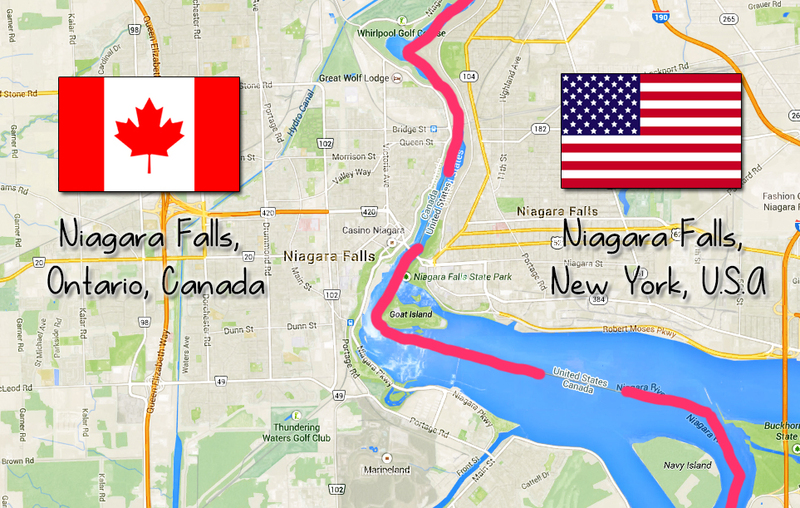 There is Niagara Falls, Ontario (which is a province, as Canada does not have states), and Niagara Falls, New York. 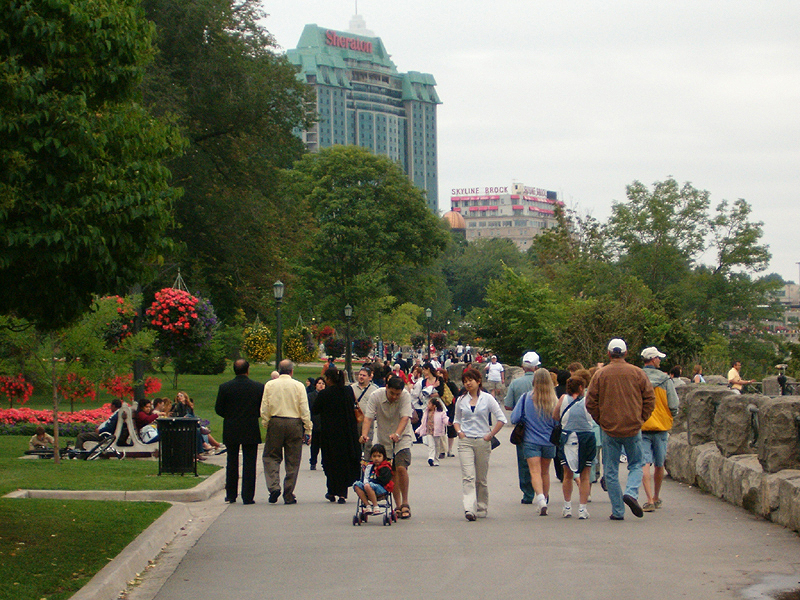 Niagara Falls, Ontario has a population of approximately 83,000 people according to the 2011 census. So don’t worry, there are plenty of places to get groceries, do laundry, have your car repaired, rent a car, withdraw money, and go shopping. If you’re trying to mail something to Canada, or are trying to find a location in your GPS, note that Canada uses postal codes with numbers and letters and not zip codes. For example, L2G 3W6. If you look at a map, it might seem like Niagara Falls and Toronto are pretty close neighbours, but in reality it’s about an hour and a half to a two hour drive. In Canada that’s pretty much right next to each other, but apparently people from other places have varying opinions on this matter. No, you will not be able to go to Prince Edward Island, Nova Scotia, Montreal, Calgary, Edmonton, or Vancouver for dinner, unless you fly. 8. How cold is it in the summer? Will I need to bring my winter coat? Contrary to popular belief, Canada does not look like this in the middle of July. However, the temperature and what you should pack really depends on when you’re planning to visit. Here is a table of the average temperatures for tourist season. Note that the temperatures below do not have humidity factored in, and that we generally have 60% to 80% humidity in the Niagara region. For more information about the climate in Niagara Falls, visit Weather-and-Climate.com. It’s always a little bit cooler down by the falls due to the mist that comes off the water. You will get a bit wet being down there, which is great on a warm day, but be prepared if you’re coming when it’s colder. So when is the best time to visit? The middle of May to the middle of June is great because children here are still in school. The falls isn’t super busy then, but all of the sight-seeing attractions are open. Children here usually go back to school the day after Labour Day (the first Monday in September), so anytime after that until the middle of October are also good – especially if you want to see the autumn foliage. The summer time isn’t bad, but it’s busy. Winter will give you some pretty interesting views as long as you’re okay with sub-zero temperatures. 9. Where can I exchange money? So you’ve made it to the great white north, and realize that you don’t have any Canadian currency. It’s not hard to find a place in Niagara Falls to exchange money; the tricky part is finding the best rate. There are numerous banks and currency exchange shops in Niagara Falls that will exchange your money. Currency exchange booths often charge high transaction fees, which will leave you with a lot less than you were expecting. Banks are okay, but charge a higher fee for non-customers. 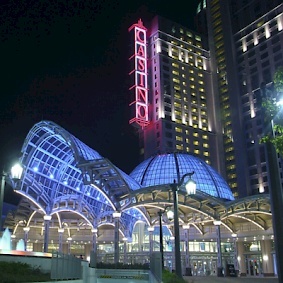 What we often recommend to customers is to go to one of the casinos (the Fallsview Casino Resort or Casino Niagara) to exchange your money. After all, they want you to stay and play so they’ll give you a good exchange rate. The casinos are both right close to the falls, so they’re not out of the way. Don’t forget that exchange rates fluctuate on a daily basis, so what you got one day, might not be the same as another. You can keep up on the exchange rates using XE.com (they also have a great app for smartphones). Just keep in mind that the amount calculated online won’t be exactly the same as what you’ll get, but it’ll give you a ballpark figure. 10. I don’t understand Canadian money. How much do I have? 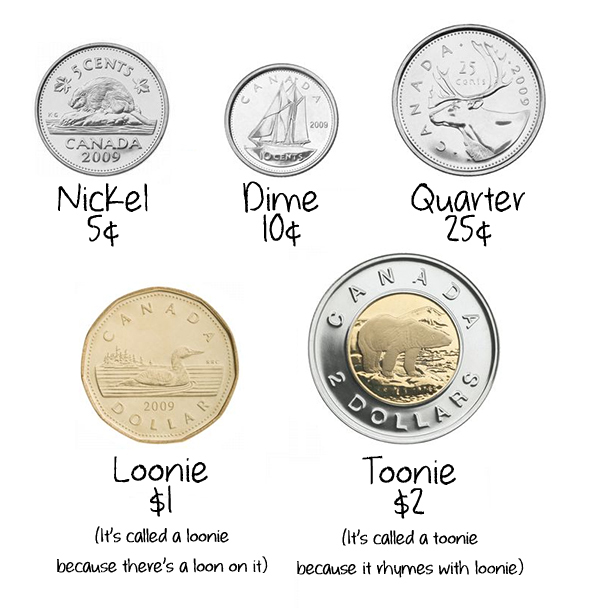 Generally speaking, Canadians are a friendly trustworthy people, however, instead of holding out a fistful of change to the cashier and telling them to “take what they need” it doesn’t hurt to familiarize yourself with our currency. It’s not that hard, I promise. The back of our coins all have a picture of Queen Elizabeth II (in varying stages of her life). Older coins have have King George VI. We have a wide variety of special coins which have come out over the years. 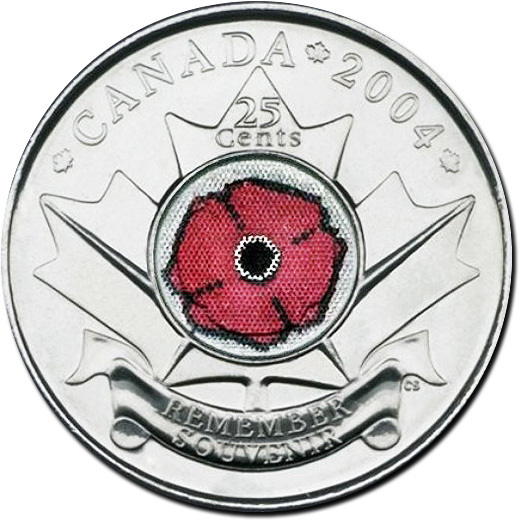 I had customers who swore up and down that the poppies on the special Remembrance Day coins featured to the left were actually spy cameras for the government. I’m relatively sure they are not. We don’t have five dollar coins (which people seem to ask about a lot), and we no longer use pennies. If you’re paying cash, your total will be rounded up or down accordingly. If you’re paying by debit or credit card, the total will not be rounded. Our bills are very easy, as all of the numbers are written big and bold and they’re all colour coded. Our bills have braille at the top with the denomination, and the new bills can safely make it through a load of wash. I think that the $100 really do smell like maple syrup (the new ones). The verdict is out on that one, but smell one and see for yourself. 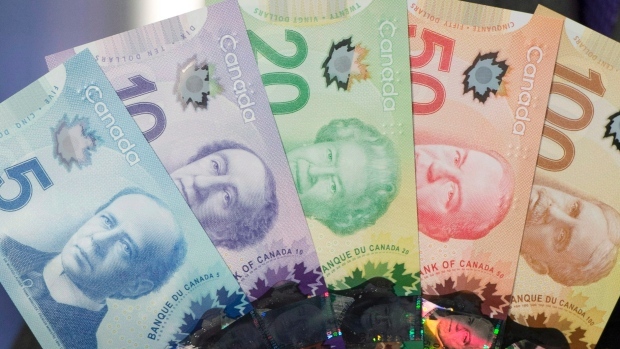 If you’re interested in learning more about the bank notes (we recently got a whole new set that are polymer notes) you can find a lot of information on the Bank of Canada website. 11. Is Niagara Falls open in the winter? 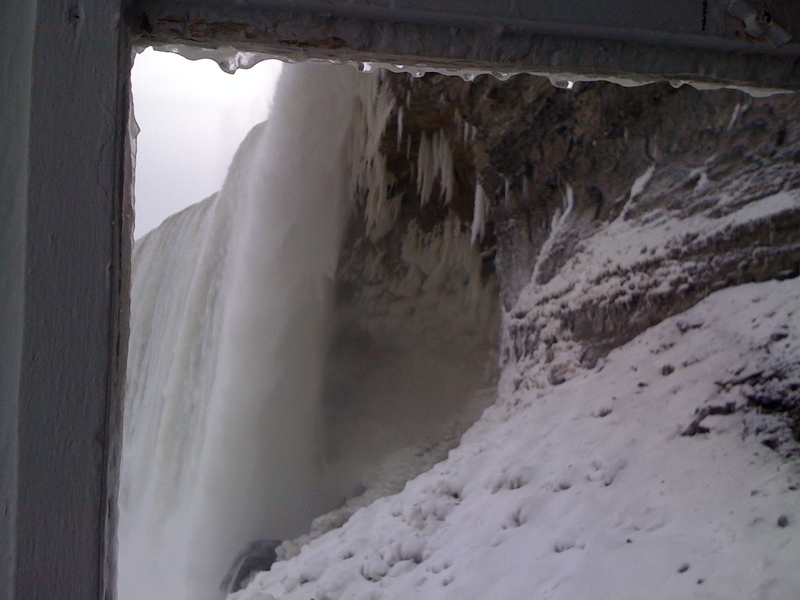 Niagara Falls doesn’t close, but a lot of the attractions are not open during the winter months. 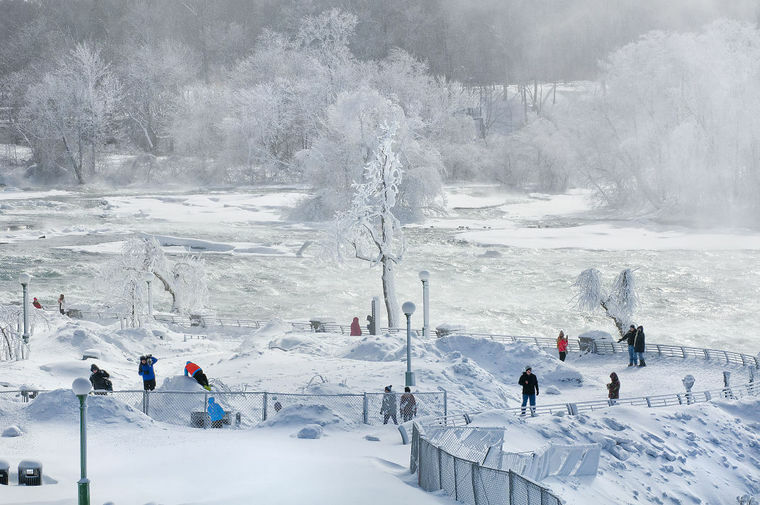 In the winter, you will still be able to do the Journey Behind the Falls, the Butterfly Conservatory, and Niagara’s Fury. 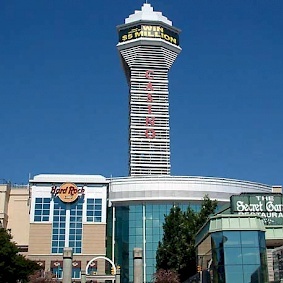 The Niagara SkyWheel still operates in the winter, and you can always go up the Skylon Tower or check out Clifton Hill. 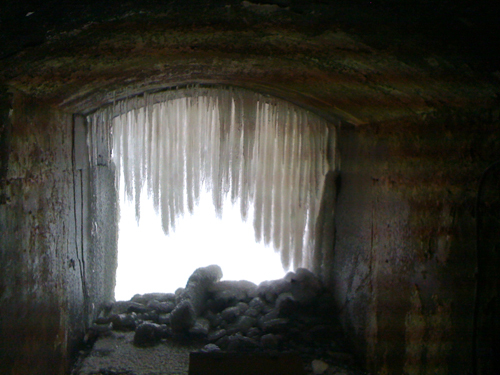 However, you should be aware that it gets quite bitter in the winter, especially near the falls. So while it’s still a beautiful sight to see, you’ll definitely want to bundle up! On the plus side, hotels and so forth are generally less expensive during the winter months (with the exception of New Year’s), and there are plenty of ice wine events in the Niagara region. Overall, Niagara Falls can be a really fun place to visit. There are a lot of great things to do and see, but you definitely need to be prepared to drop a few dollars here and there. If you’re looking to travel to Niagara Falls anytime soon, I hope you have found this post useful! Feel free to comment with any questions that you may have, and I’ll be happy to try my best to answer them. I’ve never seen a waterfall. Have the opportunity to go here to see. Very much looking forward to!